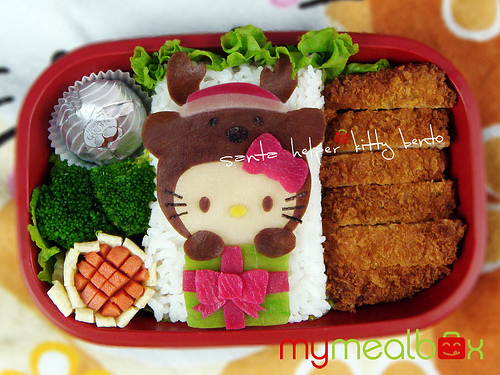 There are so many creative moms who pack cute lunches for their kids everyday. I really admire their creativities and their patients. 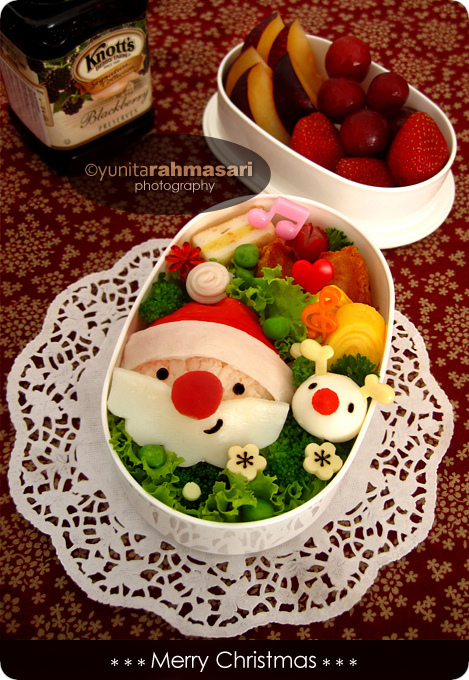 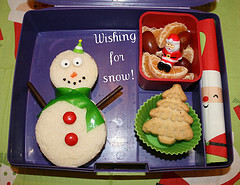 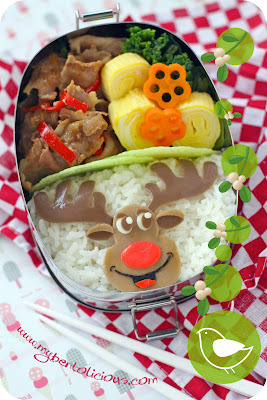 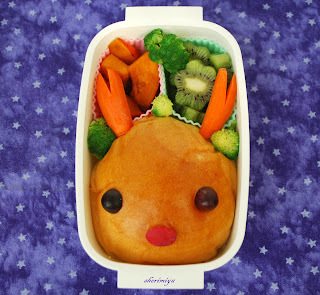 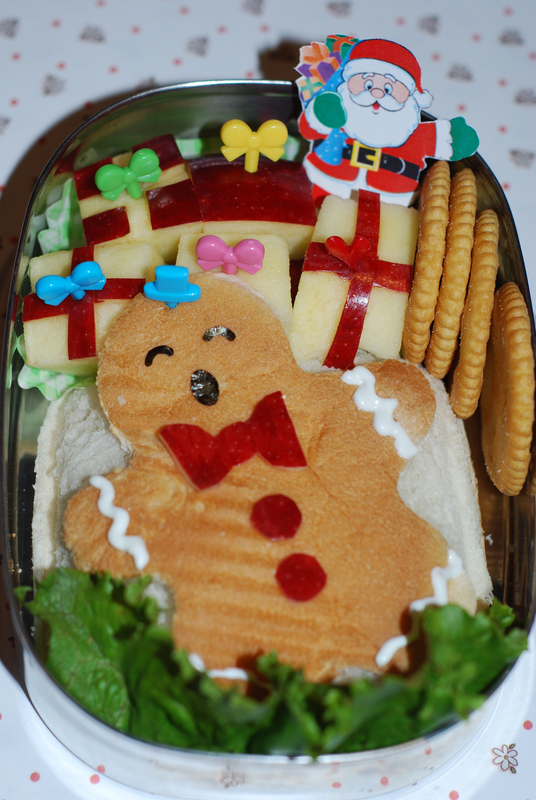 Check out these interesting Christmas theme bentos. 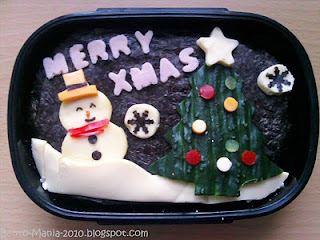 From myself ...in case you haven't seen it yet.